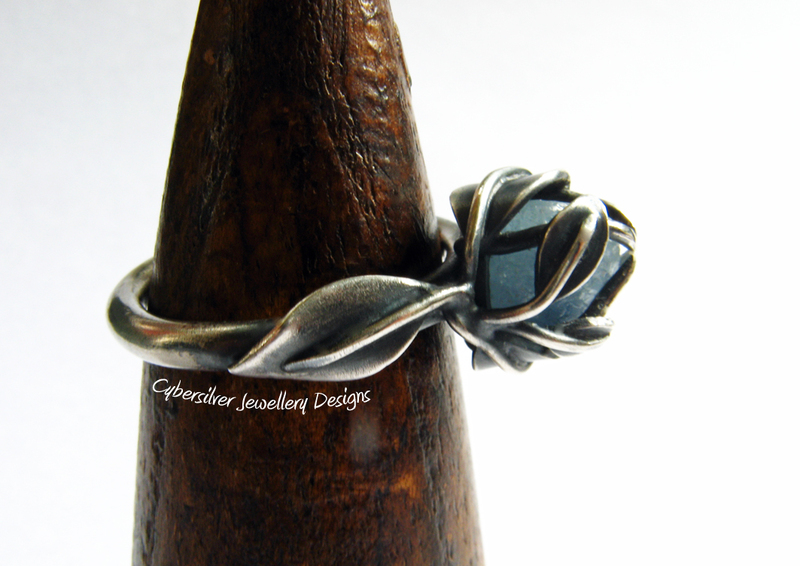 A gorgeous uncut 5 carat Sapphire gemstone encased in a beautiful unique setting of hand-cut fine silver leaves. 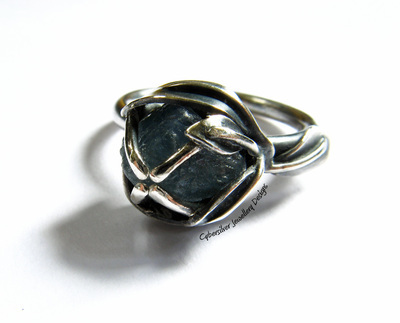 This stone is the most beautiful blue and looks absolutely stunning set against the oxidised silver. 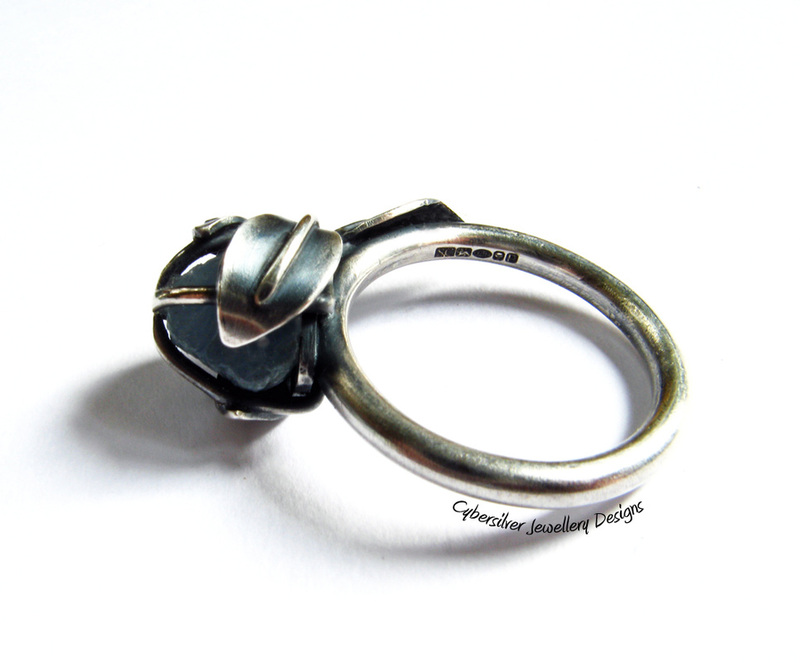 The sapphire is roughly 7 mm x 7 mm x 7 mm and the setting measures roughly 10 mm tall from the outer rim of the band. The ring is constructed from sterling silver and measures a UK size P or US size 7 3/4. The silver has been oxidised and waxed to protect the surface treatment. The oxidisation will gradually wear to a patina unique to your ring. Hallmarked by Goldsmith's of London. 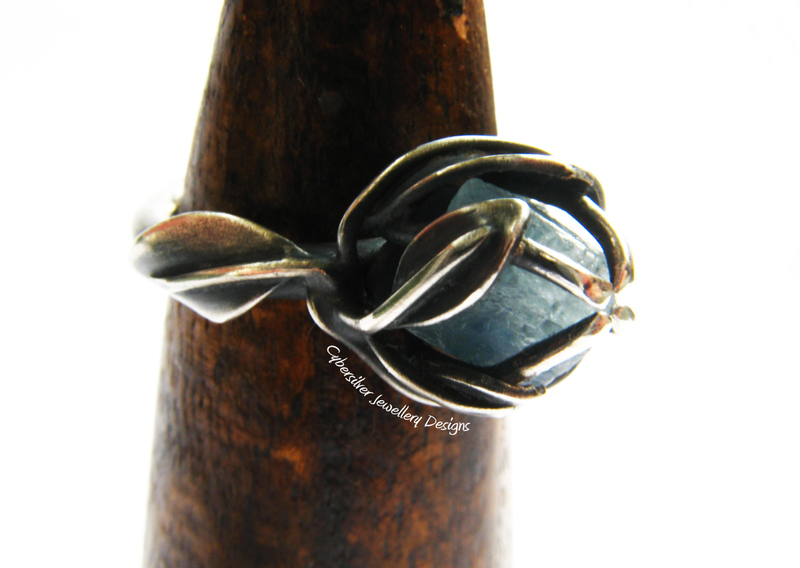 This is a one-of-a-kind ring set with a unique gemstone and made entirely by hand using traditional silversmithing techniques. 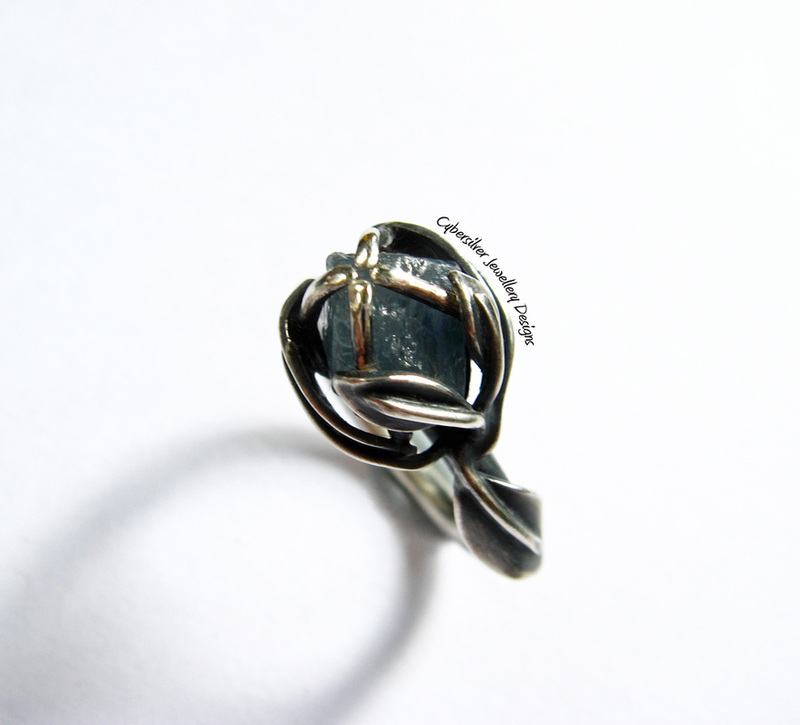 Sapphire is said to guarantee good health, innocence, truth, and to preserve chastity. It is the birthstone of September and its name is derived from the Latin word "Sapphirus" meaning blue.